As usual, the defending Super Bowl champions have a very good chance of repeating heading into next season, but oddly enough, the Indianapolis Colts will be the favorites to win Super Bowl XLV when the season begins. Even though Peyton Manning and company are the team to beat in many people’s minds, Drew Brees and his boys have a legitimate shot of winning their second straight Super Bowl title as they will have relatively the same championship team intact. The only concern for the Saints heading into next season will be their defense and whether it will be as solid as last year, but the offense will continue to light up the scoreboard and will be one of the teams to beat in the NFC Conference once again. Last season the Minnesota Vikings had a breakout year as they became arguably one of the best teams in the league on both sides of the football. Not only was their offense second to none with Brett Favre behind center and Adrian Peterson coming out of the backfield, but their defense was just as good and as long the Silver Fox comes back for one more year, the Vikings will be Super Bowl contenders for the second straight season. If Favre decides to call it quits, I really can’t see the Vikings contending with Sage Rosenfels or Tavaris Jackson behind center, but if he stays for one more year the rest of the league should beware of this NFC powerhouse with a chip on their shoulder. As the Super Bowl favorites heading into the season, Peyton Manning and company have a lot of going from them as they try to avenge their loss to the New Orleans Saints last season, but much like the Saints, the Colts defense will be suspect. 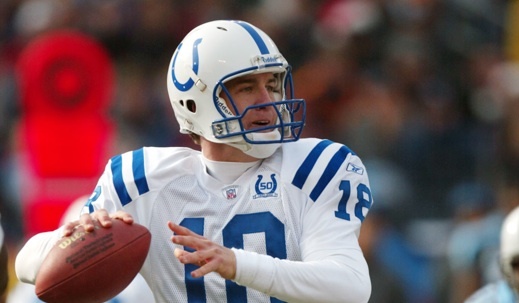 As always, whenever four-time NFL MVP quarterback Peyton Manning is behind center in Indianapolis, the Colts will be a serious force to be reckoned with in the AFC Conference and next season will be no different as the youngsters on this team have one successful season under their belts. The defensive minded New York Jets surprised a lot of people with their impressive play last season, especially in the playoffs, but this year they will have some serious upgrades to their offense which was really the only thing holding them back from contending for a Super Bowl. With the addition of LaDainian Tomlinson in the backfield with youngster Shonn Greene and Santonio Holmes in the receiving corps with Braylon Edwards, the New York Jets will be able to give their lockdown defense some much needed rest on the sidelines this season. As a result, Mark Sanchez and company just might come out as Super Bowl champions, but they will have to get past teams like the Baltimore Ravens and the Indianapolis Colts to do it. Even though they aren’t getting much credit or recognition as a Super Bowl title contender heading into next season, I believe the Dallas Cowboys will surprise a lot of teams in the NFC Conference this year as they will have arguably the most dynamic offense in the league. With arguably the best receiving corps in the NFL with Miles Austin, Jason Witten, Roy Williams and rookie Dez Bryant, the Cowboys will display an air attack that rivals the New Orleans Saints of last year. That is a bold statement, but it is do or die for this team this season and the extra motivation of playing a Super Bowl in Cowboys Stadium just might be enough to put them over the top in the NFC Conference! The Houston Texans have been a perennial underachiever in the AFC Conference ever since they became an NFL expansion team. Obviously, when an expansion team gets started, no one expects much from them as they have a long way to go before they can contend with the best of the best in the NFL. 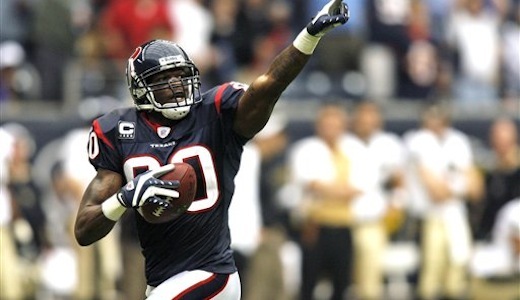 Even though the Texans may still need a few more season before they make the playoffs, they continue to improve with every passing season and wide receiver Andre Johnson has been arguably the best player on the team over the past couple of years. Last season Johnson finished the year with 101 receptions, 1,569 yards and nine touchdowns. Those numbers are impressive to say the least and with the Texans improving with every passing season, Johnson’s numbers will only get better! The Indianapolis Colts have had one of the best passing games in the NFL for quite some time now and next season will be no different. Whenever the Colts have future Hall of Fame quarterback Peyton Manning behind center, Indianapolis’ offense has a chance of putting up 25 to 40 points on any given Sunday. This obviously has a lot to do with Manning’s ability to get everyone in the Colts’ offense involved, but the four-time NFL MVP wouldn’t be able to lead one of the best offenses in the NFL without superstar wide receiver Reggie Wayne. The Colts may have not been able to come away with their second Super Bowl title last season, but they have high hopes for the future as Reggie Wayne and Dallas Clark have become arguably two of the biggest offensive threats in the league. Finishing with 1,264 yards, 10 touchdowns on 100 receptions, Wayne has made Indianapolis forget the name Marvin Harrison and become Peyton Manning’s new favorite target. I expect more big numbers from Reggie Wayne next season. 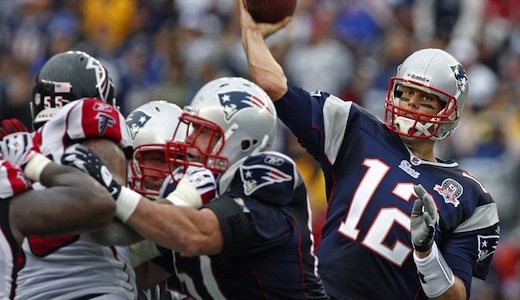 This upcoming NFL season might be a make or break year for the Patriots as the sand in the hour glass is starting to run out, but as long as Tom Brady is behind center and Randy Moss is catching his long bombs, the New England offense will be amongst the best in the league with the ability to light up the scoreboard. Next season Randy Moss should have repeat performance of last season in which he finished with 1,264 yards, 13 touchdowns and caught 83 passes. Whenever you think about the best wide receivers in the NFL the four other names on this list tend to come up in the argument, but last season we saw one wideout in Dallas that can now be added to the mix as Miles Austin quickly became Tony Romo’s favorite target on the Dallas Cowboys. With 1,320 yards, 11 touchdowns and 81 receptions, Austin became one of the best wideouts in the league and should be a force to be reckoned with in the Dallas Cowboys offense once again next season. A couple of years ago, Larry Fitzgerald would have been on top of this list without much debate, but after a somewhat down season (in terms of receiving yards), Fitzgerald was no longer considered the best of the best at the wide receiver position. Even though it was considered a down season by his critics with only 1,092 receiving yards, Fitzgerald still caught 97 balls and scored 13 touchdowns. Those are still pretty big numbers, especially with the touchdown total which is tied with Randy Moss for the most on this list. Next season will be completely different for the perennial Pro Bowler though and the main reason why he is fifth on this list is because future Hall of Fame quarterback Kurt Warner decided to call it a career. Now Fitzgerald will be receiving passes from an unproven Matt Leinart which leaves speculation on whether or not he can keep up his production moving forward in the post-Warner era in Arizona. Last season the New Orleans Saints had a season for the record books as the dominated the competition from start to finish and were able to win their first Super Bowl title in the history of the franchise. Not only were the Saints finally able to become Super Bowl champions for the first time, but they will be a force to be reckoned with in the NFC Conference for quite some time as long as they have perennial Pro Bowl Drew Brees behind center. Even though the consensus as of right now is that people are picking the Indianapolis Colts to come out on top next season, the Saints still have a legitimate shot at repeating as Super Bowl champs as long as Drew Brees is taking snaps in New Orleans. 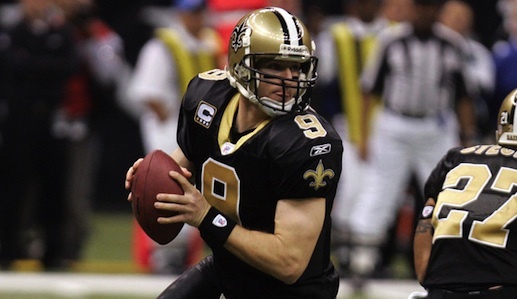 With the same championship team still relatively intact, the Saints will be Super Bowl title contender next season and Drew Brees could be poised for yet another season with big numbers. With four NFL MVP awards to his credit and one Super Bowl title in the books, Peyton Manning is without a doubt one of the best quarterbacks to ever play this game and will continue to lead the Indianapolis Colts as possible title contenders with every passing season. Next season I believe we will see more of the same from Manning as he will be look get his hands on that elusive second Super Bowl title. The Colts will have their work cut out for them in the AFC Conference and within their own division (AFC South), but I think they will be able to get back into the playoffs and possible contend for another Super Bowl ring. Even though many people doubted Brett Favre’s ability to lead the Minnesota Vikings to the promise land last season, the Silver Fox was able to take this up and coming team much further than anyone anticipated, including Favre himself. With arguably his best season in the NFL in the books, Brett Favre has proven to everyone that he can still play at a very high level in this league and might just have one more year left in him! It is uncertain whether or not the 20-year veteran will come back for one more season with the Vikings, but I am betting he will and could quite possibly be playing in Dallas at season’s end. With the emerge of Drew Brees, dominance of Peyton Manning and resurgence of Brett Favre, the New England Patriots gunslinger Tom Brady gone relatively unnoticed over the past two seasons. 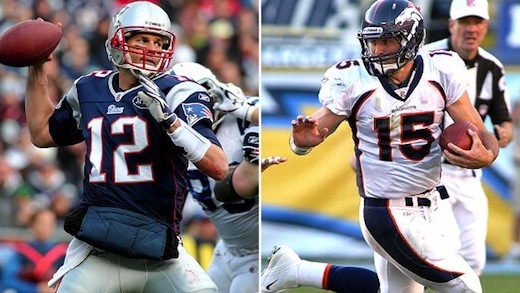 This season future Hall of Fame head coach Bill Belichick and his starting quarterback will try and lead the Patriots back to greatness in AFC Conference, but with all the competition in the conference and New England best players (Randy Moss, Wes Welker and Tom Brady) not getting any younger, this upcoming season could be the toughest in recent memory. Even though the odds are against the New England Patriots next season, I believe they will still be a force to be reckoned with and if Tom Brady can get going early in the season, they might be Super Bowl bound. Perhaps the most promising young team in the NFL right now is the Green Bay Packers as they all the right pieces to the puzzle in order to contend for a Super Bowl title. With one of the best defenses in the NFL, a good running game and an extremely potent offense, the Packers are on the verge of a breakout year, but all eyes will be on Pro Bowl caliber quarterback Aaron Rodgers next season as he could have a recording breaking year. Even though Rodgers will almost certainly put up some big numbers next season, he will have his work cut out for him against some of the best teams in the league like the New Orleans Saints, Dallas Cowboys and the Minnesota Vikings. Last season the San Francisco 49ers were finally able to get some things going after Mike Singletary officially had one full season under his belt as the new head coach. 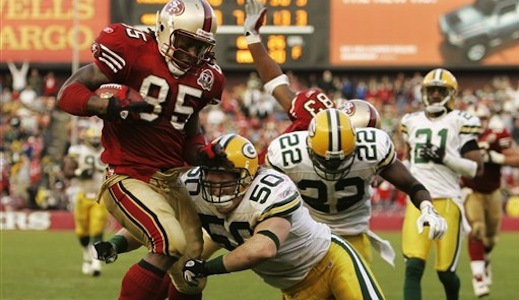 Not only did Singletary establish the 49ers as a force to be reckoned with on the defensive end of the football field, but he was able to get the offense going once again by resurrecting quarterback Alex Smith’s career. With Smith back behind center and playing with a lot of confidence, the struggling San Francisco offense was able to get back on track and show some hope for the future. Obviously, Alex Smith was a huge part of the 49ers success on offense, but it was the emergence of Vernon Davis that really got this offense going as he became the go to guy and quite possibly the new best tight end in the NFL. Davis finished last season with 965 yards and 13 touchdowns on 78 receptions. Next season I believe this numbers will be even bigger! The NFL season didn’t end the way Peyton Manning would have liked it to as the fell just short against the New Orleans Saints in the Super Bowl. Despite not being able to win their second Super Bowl title in three years, the Colts still put up one hell of an effort and were able to get right back on track even though they had to do it without future Hall of Fame wide receiver Marvin Harrison and popular head coach Tony Dungy. The Colts offense is amongst the most dynamic in the NFL and they don’t even have a solid running game, but their passing game is second to none as they have one of the best wide receivers in the game in Reggie Wayne and arguably one of the best tight ends in Dallas Clark. 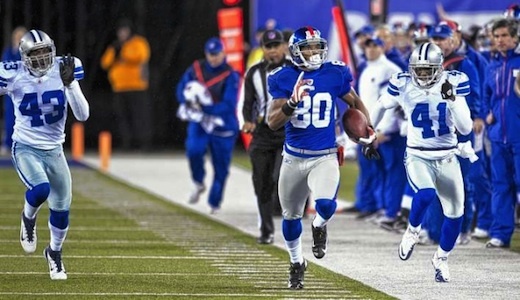 Last season was somewhat of breakout year for Clark as he finished with 100 receptions, 1,106 yards and 10 touchdowns. I expect more of the same heading into next season as Clark will continue to play a big role in the Colts air attack. A few years ago, the San Diego Chargers had arguably the most dynamic offense in the NFL and they didn’t even have a go to wide receiver like many potent offenses do. Despite not having the go to guy like Randy Moss or Larry Fitzgerald, Chargers quarterback Phillip Rivers still had some of the best offensive weapons in the game in the form of running back LaDainian Tomlinson and tight end Antonio Gates. Last season was somewhat of a down year for Gates as wide receiver Vincent Jackson seemed to become Phillip Rivers new favorite target in the offense, but with Jackson out the first few weeks of the season, if not longer, I believe Gates will become a force to be reckoned with once again. The Dallas Cowboys are always one of the best offensive teams in the league heading into every single season with quarterback Tony Romo behind center. Even though the Cowboys really struggle in the playoffs, during the regular season they are as tough to beat as any other team in the league. One of the main reasons for the Cowboys dominance in the passing game over the past few years has been Tony Romo’s favorite target in Pro Bowl tight end Jason Witten. With the emergence of Miles Austin last season, Jason Witten took a back seat in the offense, but with teams adjusting to Austin this season, Witten is poised to have some huge numbers next season! No tight end in the game has been more dominant or consistent over the past decade or so than perennial Pro Bowler Tony Gonzalez. Even though Gonzalez made a name for himself while playing for the Kansas City Chiefs, the AFC West’s worst team wasn’t going anywhere and it was time for the future Hall of Famer to move on. As a result, Tony Gonzalez was traded to the Atlanta Falcons and finally had a franchise caliber quarterback to receive passes from in Matt Ryan. Last season wasn’t really a great indication of things to come as the entire team was ravaged with injuries, but despite never really being able to get things going last year, Gonzalez still finished the season with some impressive numbers as he caught 83 passes for 867 yards and six touchdowns. game and quite possibly the tight end with the best numbers at the end of the year. Last season the Tennessee Titans went through a pretty drastic transformation as they went from one of the worst teams in the league to start the season and arguably one of the most promising to finish it. One of the main reasons for their Titans second half success last season was quarterback Vince Young getting back into the starting lineup and the emerge of arguably the best running back in the league in Chris Johnson. With over 2,500 total yards (2,006 rushing, 503 receiving) and 16 total touchdowns (14 rushing, 2 receiving), Chris Johnson officially surpassed Adrian Peterson as the number one back in this league. Next season Johnson will not be making the money wants to ($550,000), but his paycheck will be performance based as the promising young running back has the opportunity to make $2 million dollars on top of his current contract. Not only is that something that will strike fear in the hearts of opposing defenses next season, but the Pro Bowl also said that he will be aiming at rushing for 2,500 yards. Over the past couple of seasons, the Minnesota Vikings superstar running back slowly, but surely made the league forget about LaDainian Tomlinson. Not only did AP surpass LT as the best back in the NFL, but now he is getting the football handed to him by arguably one of the best quarterbacks of all-time in Brett Favre. With the addition of Favre, the offense has completely opened up for Adrian Peterson and the Minnesota Vikings as they have put more points on the board and won a lot more football games. This has benefited AP more than any other player on the team as his touchdown total has gone through the roof (18 rushing touchdowns). Peterson’s rushing yards may be down (1,383) and fumbles way up (seven fumbles, six lost), but he is still a serious force to be reckoned with out of the Minnesota backfield and will continue to be next season. Last season the Atlanta Falcons looked like a promising young team heading into the season with a possible run at the Super Bowl on the horizon. Unfortunately, even though they still finished the season with 9-7 record, the Falcons missed the playoffs, but were absolutely ravaged by injuries that kept them from contending with the likes of the eventual Super Bowl champion New Orleans Saints in the NFC South division. Despite only playing in eight games throughout the entire season last year, Michael Turner still put up some impressive numbers as he rushed for 871 yards and scored 10 touchdowns. As long as he is healthy next season, Turner should torch opposing defenses once again and could be the league top rusher ahead of Chris Johnson and Adrian Peterson. The Jacksonville Jaguars are arguably one of the worst teams in the NFL. The Jaguars might not be as bad as the Detroit Lions or the Cleveland Browns, but every single season they seem to disappoint as they just can’t contend with the best of the best in the AFC Conference. Not only are the Jacksonville Jaguars in one of the most competitive divisions in the NFL (AFC South), they only have one real threat to opposing teams in the form of running back Maurice Jones-Drew. Last season Jones-Drew put up some monster numbers as he finished the season with 1,765 total yards (1,391 rushing, 374 receiving) and 16 total touchdowns (15 rushing, one receiving). Without Jones-Drew, Jacksonville is dead in the water, so next season I fully expect him to put up some impressive numbers once again. Over the years, the Baltimore Ravens have really struggled on offense and really made a name for themselves in the NFL strictly because of their lockdown defense, but times are changing in Baltimore as their offense could be amongst the best in the league next season. One of the main reasons for the Ravens recent success on offense was the emergence of quarterback Joe Flacco, but the one big surprise last season was running back Ray Rice. The Ravens may have come a couple games short of the Super Bowl last season, but they high hopes for the future with Ray Rice coming out of the backfield who finished the year with 2,041 total yards (1,339 rushing, 702 receiving) and eight total touchdowns (seven rushing, one receiving). Obviously, Rice’s touchdown production needs to go up in order to be a serious threat to opposing defenses, but next season I believe he will be amongst the best in the league coming out of the backfield and could be considerably higher on this list next year. Can Donovan McNabb turn the Washington Redskins into a title contender? The Philadelphia Eagles or any professional sports franchise in Philly can be very difficult to play for as there is a lot pressure put on the superstar players. Obviously, pressure on professional athletes is nothing new, but in Philadelphia it can be extremely harsh as winning is the only thing this passionate city will except as Philly has arguably the most unruly fans in the country. With that being said and the face that NFL football is arguably the most popular professional sports in the country, the fans can be absolutely brutal to the face of the Eagles franchise. 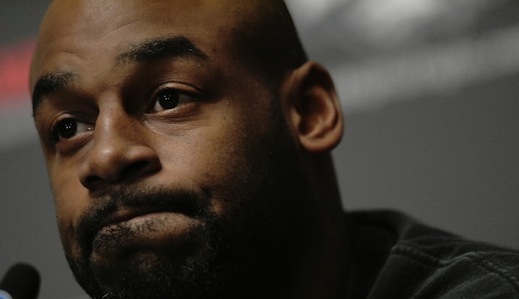 The face of the Philadelphia Eagles NFL franchise over the last 11 years has been none other than six-time Pro Bowl quarterback Donovan McNabb. Even though McNabb has been able to lead the Philadelphia Eagles to five NFC championship games and one Super Bowl appearance, the fans in Philly have always pointed the finger at the superstar quarterback for the Eagles not being able to win a Super Bowl. Obviously, that is bit harsh to say the least as the Philadelphia Eagles wouldn’t have experienced the kind of success they had over the past decade or so without him behind center. Well, now both the Washington Redskins and the Philadelphia Eagles have drastically changed the outlook of their NFL franchises moving forwards as Philly will try and compete without their Pro Bowl quarterback and the Skins will look to make their team relevant in the NFC once again with franchise caliber player at the helm. Personally, even though the Philadelphia Eagles have Kevin Kolb and Michael Vick to take McNabb’s place, I believe the Washington Redskins really came out on top in this deal as they will without doubt be a much better team with the Pro Bowler taking the snaps from now on. The Redskins still have a lot of moves to make in order to be force to be reckoned with in the NFC Conference, but adding McNabb was without a doubt a step in the right direction as he will be a much needed stability to the struggling Washington offense. Even though the Redskins need at least one or two more Pro Bowl caliber wide receivers to give McNabb some much needed targets, Washington does have two solid players at tight end in Chris Cooley and Fred Davis and a talented trio at running back in Larry Johnson, Clinton Portis and Willie Parker. There is no doubt in my mind that this team can compete in the NFC this season, but they are a definitely a few more pieces to the puzzle away from becoming a serious force to be reckoned with or a possible Super Bowl title contender. The NFL regular season is still two months away and anything can happen from here on out in terms of moves being made by the Washington Redskins, but they will definitely have to address McNabb’s lack of wide receiver options in the offense. Last season the Minnesota Vikings burst onto the scene and quickly became one of the best teams in the league after future Hall of Fame quarterback Brett Favre decided to get some revenge against his former team in the Green Bay Packers by putting on the once hated purple jersey and having arguably the best season of his NFL career. Not only were the Minnesota Vikings an extremely talented football team on the defensive side of the pigskin before Favre decided to make his comeback, but they also had arguably the best running game in the league with the combination of Adrian Peterson and Chester Taylor in the backfield. Along with having one of the best running backs in the game in Peterson, the Vikings also had a wide receiver that literally came out of nowhere and quickly became one of the top wideouts in the league. Obviously, any wide receiver or tight end that has Brett Favre behind center will instantly get more involved in the offense, but last season unknown wideout Sidney Rice went from a nobody to a possible perennial Pro Bowler. 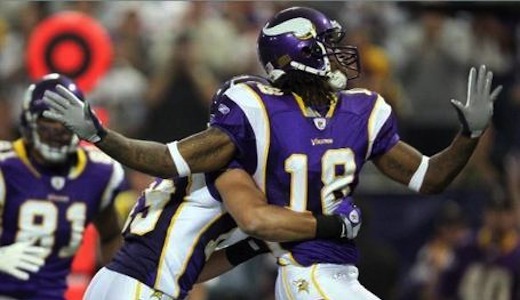 With 83 receptions, 1,312 receiving yards and eight touchdowns Sidney Rice quickly became Brett Favre’s favorite target in the Minnesota Vikings offense last season as the two connected on big plays all season long. Not only did Favre turn Rice into another primetime receiver in this league, but they were arguably the most dynamic quarterback/wide receiver duo in the NFL last season and will look to continue their success heading into the upcoming season. The future of Sidney Rice leans heavily on the return of Brett Favre, which is still uncertain, but with reports of the Pro Bowl quarterback already throwing passes to high school players in Mississippi; his return looks highly likely once again. With Favre back behind center, the Minnesota Vikings will be legitimate Super Bowl title contenders once again in the NFC Conference and Rice could have yet another career year. Even though everything in Minnesota seems to be leading towards another successful season for the Vikings with a possible Super Bowl appearance on the horizon, Pro Bowl wide receiver Sidney Rice is still suffering from a an ailing hip injury that he sustained during the playoffs last season. Despite Rice’s injury being an obvious concern for the Minnesota Vikings, as they could quite possibly contend for a Super Bowl title next season, reportedly the injury isn’t something that will keep him off the gridiron to start the upcoming season. Sidney Rice’s agent Drew Rosenhaus recently tweeted about his client’s injury saying that his hip injury will not require surgery and he is hopeful that Rice will be on the receiving ends of Brett Favre’s passes to start the season against the New Orleans Saints. Ironically enough, the Minnesota Vikings last game was in the NFC championship against Drew Brees and company. This will be without a doubt the most anticipated game in week one, but if Rice can’t go, it will drastically change the outcome of this NFC battle. Is Chris Johnson the new best running back in the NFL? There are a lot of debates that go on throughout an NFL season about what teams can contend for a title, which players are on the downside of their careers and what players are amongst the best at their position. The one debate that has really started to get a lot of attention over the past couple of seasons has been which running back is the best in the league. A few years ago, there was an easy answer to this question as the San Diego Chargers Pro Bowler LaDainian Tomlinson was without a doubt the best player out of the backfield. With an NFL MVP award, multiple Pro Bowl appearances and the ability to do almost anything on the offensive side of the football field (run, catch and pass), LT wasn’t only the best back in the league, but he was the best all around player hands down. Well, a lot has changed since the days of LT’s dominance in San Diego as his numbers have really started to decline and the Chargers recently released their former best all around player. Fortunately, LT didn’t stay unemployed for long as the New York Jets decided to make him their starter out of the backfield. As for the which player is now the best running back in the league, the debate rages on, but there are only two legitimate candidates for the distinction of the best NFL running back. This upcoming season might determine which back comes out on top as the Minnesota Vikings Adrian Peterson and the Tennessee Titans Chris Johnson will battle it out. Last season both the Tennessee Titans and the Minnesota Vikings had pretty successful years. Obviously, the Vikings had a much better season than the Titans as they were able to make it all the way to the NFC championship and come just short of playing in the Super Bowl. The Titans on the other hand struggled early on in the season, but rebounded nicely with an impressive run in the second half of the year. Even though the Vikings were without a doubt the better team with a lot more to show for their impressive performance in 2009, the battle between the league’s two best running backs was much different as Chris Johnson was without a doubt the best rusher in the league. With 2,006 rushing yards, 503 receiving yards, 16 total touchdowns (14 rushing, 2 receiving) and just three lost fumbles, Chris Johnson was by far the best back in the league last season. The Tennessee Titans may have just missed the playoffs in the AFC Conference, but they definitely have a promising future with Johnson coming out of the backfield. The Minnesota Vikings running back Adrian Peterson on the other hand dominated last season in terms of touchdowns with a total of 18, all rushing, but his Achilles heel has turned out to be his tendency to commit multiple costly turnovers. Even though AP finished with 1,819 total yards (1,383 rushing, 436 receiving), 18 touchdowns and the possibility of playing in a Super Bowl, Chris Johnson may have taken over as the league’s best back with the ability to torch opposing defenses with his ability to destroy secondarys in the ground game. It will be interesting to say the least how these two extremely talented running backs do next season, but in my opinion, the Tennessee Titans Chris Johnson has officially become the best running back in the NFL. Where will Albert Haynesworth be heading? The Washington Redskins have gone through some drastic changes over the last season and throughout this offseason with a new starting quarterback and head coach being their biggest moves, but they aren’t done yet as they have might have to get rid of their $100 million dollar man via trade. Before last season, the Redskins made a bold move to upgrade their struggling defense by signing arguably the best defensive player in the league in defensive tackle Albert Haynesworth. No one knew whether or not the Tennessee Titans would be able to match the offer made by the Washington Redskins, but fortunately they didn’t as Haynesworth went to Washington and had a very disappointing season. Along with having a very disappointing season with his new team, Haynesworth hasn’t become fan favorite or a good teammate as he is probably the most unpopular player in Washington right now. Not only did he have a very poor season as the Redskins only won a total of four games last year, but he has only been a distraction to the team ever since as he has demanded a trade only shortly after getting a $21 million dollar bonus from the team. Reportedly, the former Pro Bowler is upset about the new defensive scheme that new head coach Mike Shanahan is implementing in Washington as he will no longer be a pivotal part of the defensive front line. As a result, Haynesworth has said that he wants to get traded and with this very selfish act of a “me first” mentality, the Washington Redskins would love to grant his request, but they would like the $21 million dollars given to the defensive superstar back before making a deal. Apparently, there are quite teams interested in retaining Albert Haynesworth’s services, but the Washington Redskins are really second guessing shipping their $100 million dollar man elsewhere. As of right now, the Redskins are still fielding offers for their defensive beast, but no trade is on the horizon just yet. 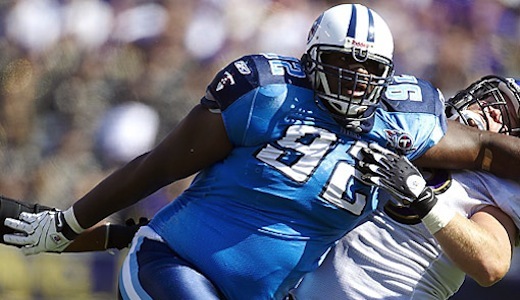 The three teams that have consistently been mentioned as possible destinations for Haynesworth have been the Detroit Lions, Oakland Raiders and the Tennessee Titans. Personally, the best fit for Haynesworth in my opinion would be to return to Tennessee where he made a name for himself. By returning to the Titans he would be able to get his old job back and turn the Tennessee defense back into the dominant force it was a couple of years ago. Even though that is an ideal situation, it is uncertain how serious the Titans would be about getting him back. The one team of the three that seemed pretty serious about going after the Pro Bowler was the Detroit Lions. It is no secret that the Lions are in desperate need of some upgrades on defense, but recently it was reported that are no longer interested as they are not willing to take on his bad attitude as they try and turn around their franchise. So at this point in time, Haynesworth’s future is still very much up in the air, but I won’t be surprised to see Shanahan unload the big fella before next season. The Indianapolis Colts are coming off a somewhat disappointing ending to last season as Peyton Manning and company looked like they could possibly win their second Super Bowl title in three years, but ended up dropping the ball in the big game and letting the New Orleans Saints win their first title in franchise history. Even Peyton Manning would like to take back that interception he threw in the Super Bowl, the Colts and the three-time NFL MVP have move forward and look towards the upcoming NFL regular season. As of right now, the Indianapolis Colts have the same team relatively intact and will be looking to have a repeat performance of last season and personally, this time I think they could win it all! The Houston Texans have always seemed to be a talented team, but they could just never get it together or create any kind of team chemistry to work off of, but next season they might surprise some people as they could have an offense that rivals the New Orleans Saints. There is no doubting that the Texans have a potent offense as they have arguably the best all wide receiver in the game in Andre Johnson and one of the best quarterbacks in the league in Matt Schaub, but their running game is nonexistent. If the Texans can get the ground game going early in the season and have some much needed defense to back up their potent offense, this team could be a serious threat in the AFC. Even though the Jacksonville Jaguars have one of the best running backs in the league in Maurice Jones-Drew, this forgotten team from Florida really doesn’t have anything else to compete with the best of the best in the league or in their division for that matter. Jacksonville could surprise people next season, but I doubted as I think we will see the same weak team we always see and another last place finish in the AFC South. Last season was a resurgence of sorts for the struggling Tennessee Titans. 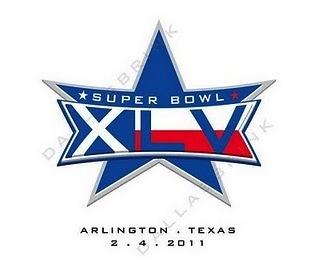 Coming into the season they had high hopes of competing for a Super Bowl title, but ended up losing the first seven games of the season and being dubbed the worst team in the NFL at one point. 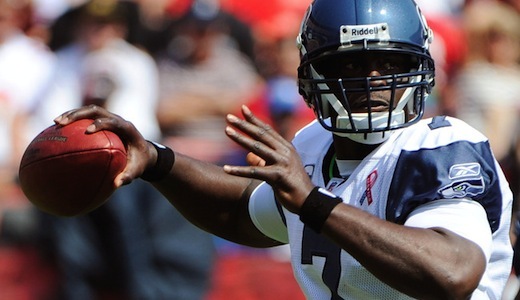 Fortunately, head coach Jeff Fisher decided to make a drastic change by benching veteran quarterback Kerry Collins in favor of the former face of the franchise in Vince Young. Even though Young struggled early, he really started to come into his own once again and helped lead this team to an 8-8 record after losing the entire first half of the season. Another reason for the Titans second half success was running Chris Johnson. Most people believe that Adrian Peterson is the best back in the NFL today, but after last year’s impressive performance, Johnson may have taken over as the league’s best out of the backfield. If Young and Johnson can keep up their Pro Bowl performances next season, they could threaten Peyton’s Colts in the AFC South division. Anytime the Indianapolis Colts have Peyton Manning starting behind center, the team has a chance to the go distance and win it all. I am betting that last season’s loss to the New Orleans Saints in the Super Bowl really started to sting once the offseason got going and that might have been enough to motivate Peyton to bring it next season. The Colts are never an easy team to bring down in their division, but with the Titans and Texans improving with every passing season and Manning not getting any older, a passing of the torch might happen sooner rather than later.